Fusarium wilt is still a concern with the traditional crops, cyclamen and carnations. Two questions that came to me this month about the management of Fusarium wilt reminded me that not a lot has changed in disease management over the years, particularly with these diseases. 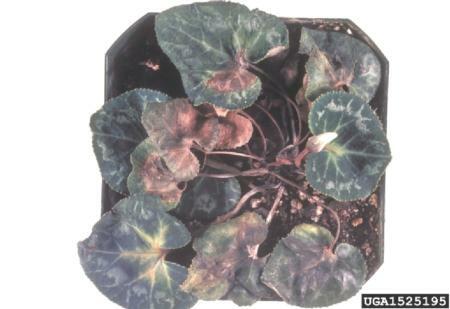 Symptoms of Fusarium wilt on cyclamen. Photo credit: Department of Plant Pathology Archive, North Carolina State University, Bugwood.org. There are no fungicides that are really effective for Fusarium wilt diseases caused by soil-inhabiting, host-specific forms of Fusarium oxysporum. You might see "Fusarium" on a chemical label, but the primary fungicide activity is usually on other soil-borne or foliar Fusarium species, not Fusarium oxysporum. I recall when Bayleton became available over 20 years ago, a carnation grower misinterpreted the “Fusarium” listing on the product label and drenched the fungicide into the soil to attempt to manage Fusarium wilt. Unfortunately, at the rate applied, it had a fairly strong growth-regulating effect. Subsequent growth of the carnation stems had dramatically shortened internodes. It took months of growth to work out of the plant and soil, but eventually the crop began to produce normal-length cut flowers. Sanitation is the key to Fusarium wilt disease management. Often F. oxysporum can come with cyclamen transplants, or even with the seed. So starting out with clean stock is critical. Know your source. Use clean soil; don't reuse infested soil. When carnations are planted in soil for cut flower production, the soil often is infested in the ground somewhere outside the fumigated /steamed soil.  With time, healthy roots move into infested soil, or the infested soil moves to the clean beds via contaminated shoes or tools, and eventually roots become infected. Here's a link to a general description and management information for F. oxysporum: http://www.ipm.ucdavis.edu/PMG/r280100811.html.